When it comes to snacking, we are faced with many choices, and it can sometimes be difficult to choose the best option for you and your family to satisfy those needs. That is why we have introduced our new Snack Wise TM logo! 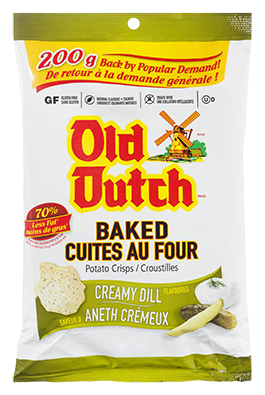 Working hard to provide our consumers with unique solutions in their snacking needs, Old Dutch has added the Snack Wise TM logo to designated Old Dutch Snacks. We have also highlighted each product’s benefits, some of which are: 0g Trans Fat, Low in Saturated Fatty Acids, 0g Cholesterol, Low Fat, Low Sodium, Gluten Free, and Kosher. 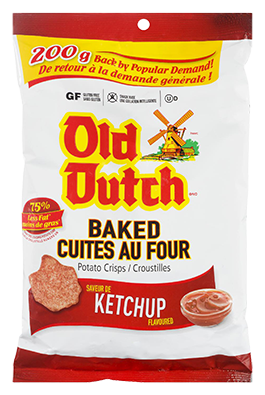 Below is a list of all Old Dutch Snack WiseTM products that we are excited to bring you. We can honestly say that Snacking Wisely Never Tasted So Good!